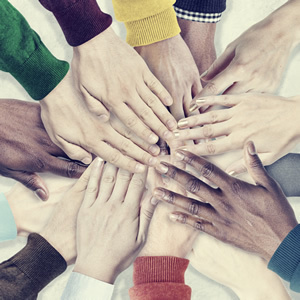 Help us GROW & you have a chance to win a FREE year's membership! 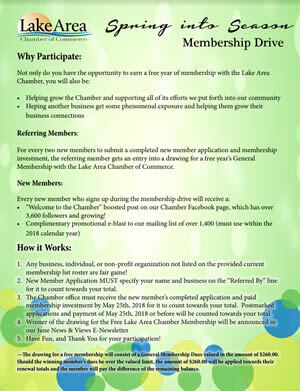 Love your Lake Area Chamber of Commerce membership? 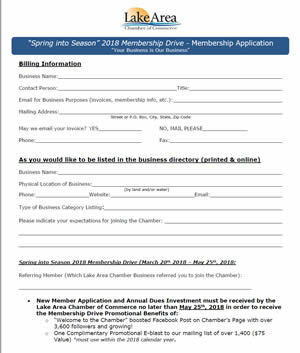 Help us spread the word about Spring membership drive! New members get a few extra perks during the drive, and referring members get a chance to win a FREE year of membership. It's win-win! 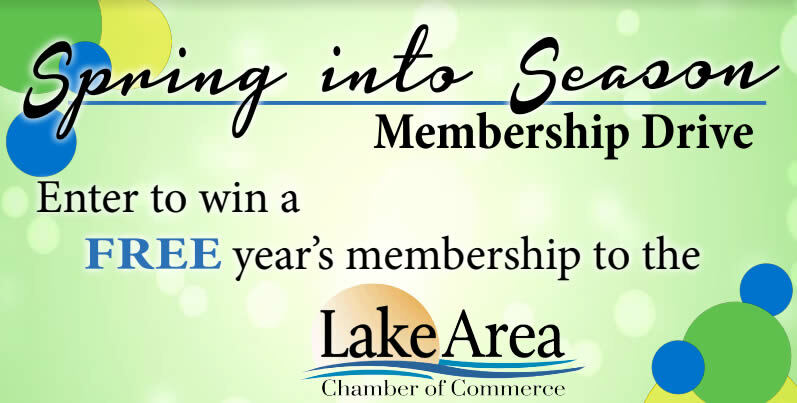 For every two new members to submit a completed new member application and membership investment, the referring member gets an entry into a drawing for a free year’s General Membership with the Lake Area Chamber of Commerce. “Welcome to the Chamber” boosted post on our Chamber Facebook page, which has over 3,600 followers and growing! 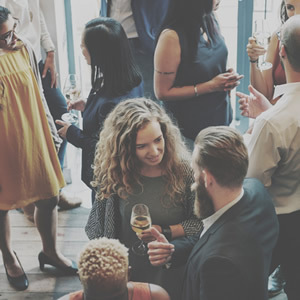 Any business, individual, or non-profit organization not listed on the provided current membership list roster are fair game! 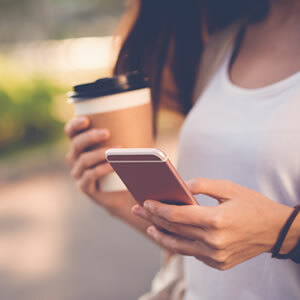 New Member Application MUST specify your name and business on the “Referred By” line for it to count towards your total. The Chamber office must receive the new member’s completed application and paid membership investment by May 25th, 2018 for it to count towards your total. Postmarked applications and payment of May 25th, 2018 or before will be counted towards your total. Have Fun, and Thank You for your participation! 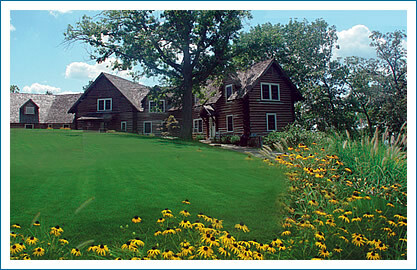 The drawing for a free membership will consist of a General Membership Dues valued in the amount of $260.00. 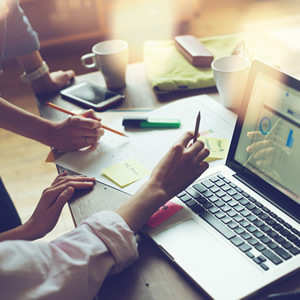 Should the winning member’s dues be over the valued limit, the amount of $260.00 will be applied towards their renewal totals and the member will pay the difference of the remaining balance.